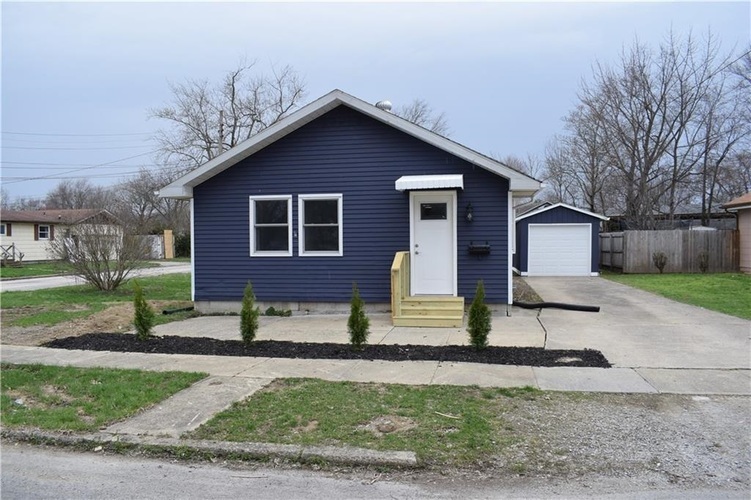 Single family bungalow sitting on a corner lot. 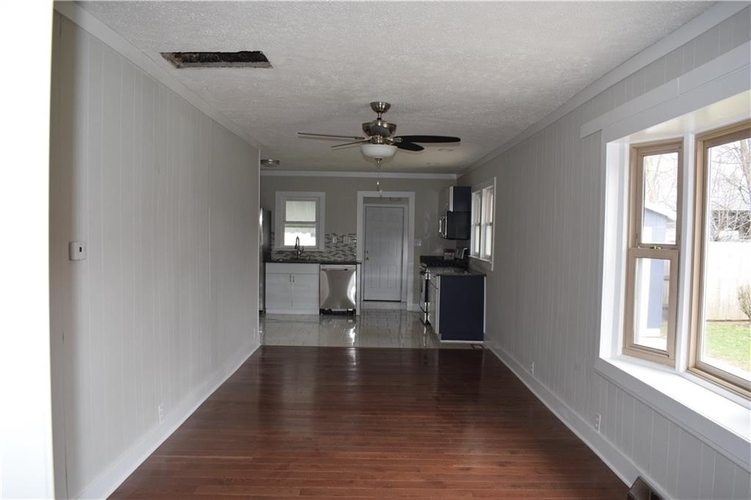 House is newly and completely renovated with Quartz Counter tops in Kitchen. It has all new plumbing/gas/sewer, brand new A/C condenser, and furnace. Living Room boasts Hardwood floors. Foyer, laundry room, kitchen all feature ceramic tile. 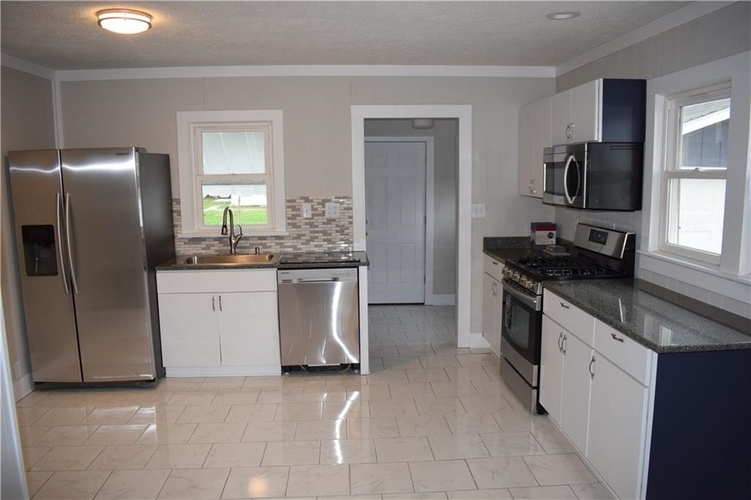 Also featured in the kitchen are brand new stainless steel appliances and glass tile back splash. 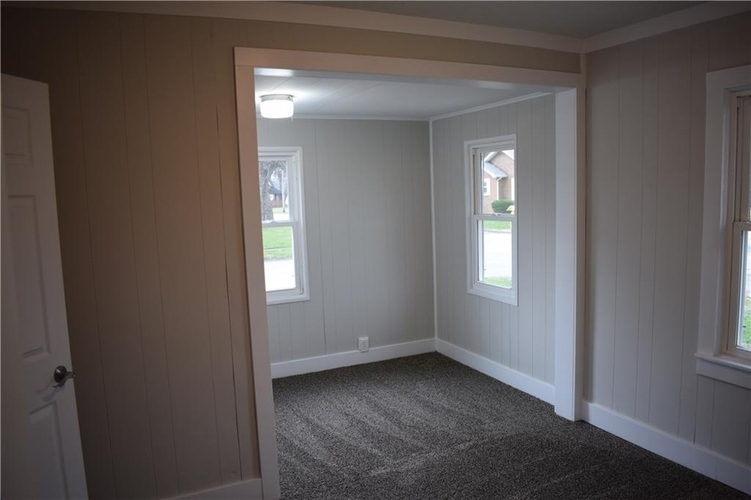 House also has a detached garage with large storage/workshop area. Directions:From Vine St head South on Sycamore, home will be located on the right. 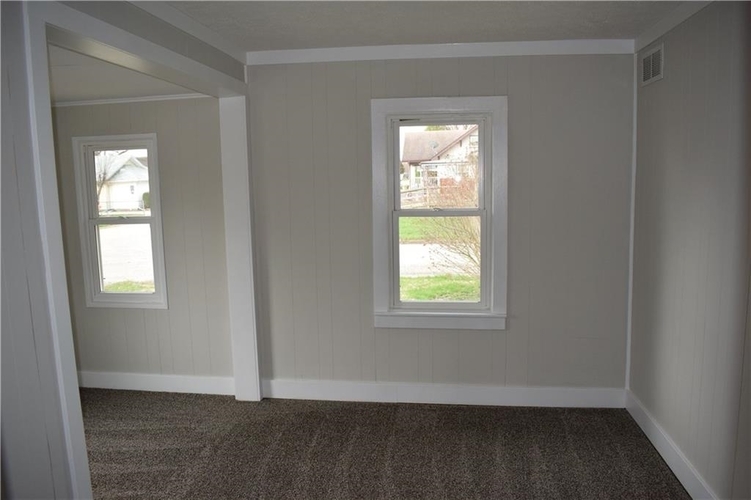 Listing provided courtesy of Berkshire Hathaway Home Services Indiana Realty.